Died: 8th July 1916; Died of Wounds – 13 Stationary Hospital, Rouen. 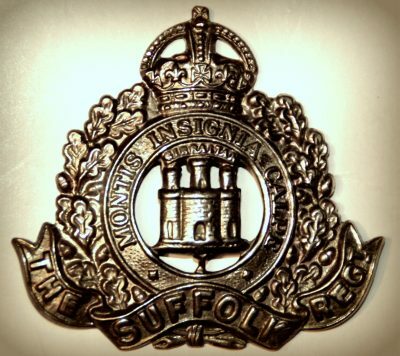 Rank: Lance Corporal; Service Number: 3/9050; Regiment: Suffolk Regiment, 7th Battalion. 1901 4, Reeves Court, Fore Street, Ipswich. Frederick was 3 years and living with his parents. Frederick John Colthorpe, 28, a Brickmaker’s Labourer, born Ipswich. Louisa Colthorpe (nee Webber), 27, a Stay Maker, born Ipswich. 1911 32, Hill Street, Ipswich. Frederick 13 years old and living with his parents & sisters at the home of his paternal grandmother. Jane Colthorpe, 69, a widow, born Levington, Suffolk. Frederick, 38, a Labourer – Agricultural Foundry. Keziah Ellen Colthorpe, 8, born Ipswich. Violet May Colthorpe, 3, born Ipswich. Dorothy J. Colthorpe, 9 months, born Ipswich.